We have had a bike sharing scheme in London since 2007 when the Santander bikes (aka Boris Bikes) were introduced, They have proven to be a hit, since there's a lot of usage. Certainly, the docking station close to where I work constantly has people picking up and dropping off bikes. But now, it seems like the bike sharing principle is expanding a little and going on to what might be the next step in their evolution - bike sharing without a docking station. Basically using an app to find out where the nearest bike is, unlocking it via the app or a QR code, and then when you reach your destination you just drop off the bike right where you end your ride. Sounds great. 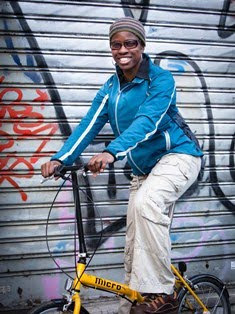 That's what Ofo Bikes are doing, and that is what they explained to me at their launch party in Islington. Their operations manager gave a quick presentation on what they are about, and how the bikes hail from China where this sort of bike share is commonplace over there. They don't really see themselves as competitors to the Santander bikes which are focused more on Central London. Ofo aim to have a presence in the outer neighbourhoods of London and also in other towns across the UK. 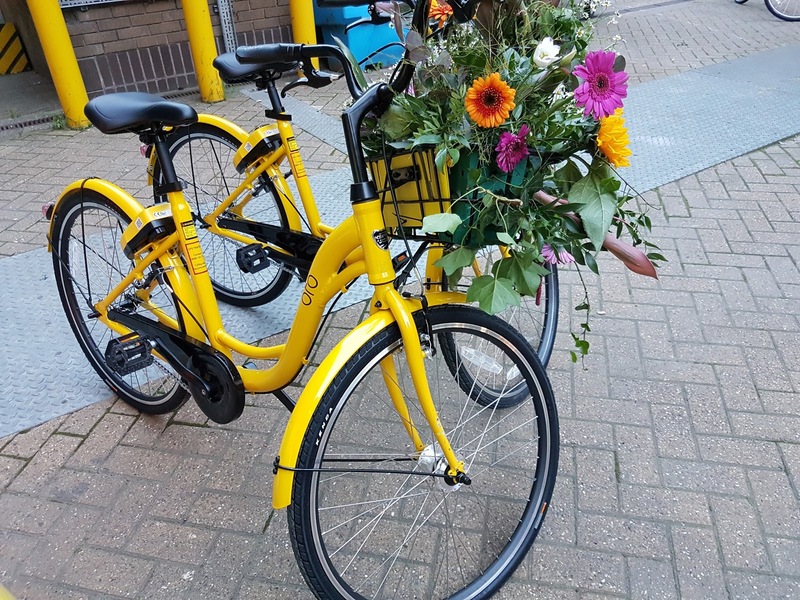 Right now the company is doing a soft launch of the Ofo bikes where they are currently available in Cambridge and in Hackney. Over the coming months the company will be talking to different London boroughs and city councils outside of London in order to gradually roll out the bikes elsewhere. As there are no docking stations, planning permission is not needed, however the company still needs to have backing from the council as these bikes are just going to be left randomly on the pavement - something that won't be great for passers-by, though one reason to not have your eyes focused on your phone when walking down the street! It is also one of the reasons why another company that launched a similar type of scheme a couple of months ago (O-bikes) has not had much success. The striking yellow Ofo bikes look a bit more elegant than the clunky red Santander bikes, though I like to think that they will match the robustness of their older cousins. They are also lighter, making them easy to ride and gain momentum. Also there's a basket, which is pretty handy. So there are a few plusses. The main downside that I found is that it only has one gear. At the moment they are available in Hackney, which is practically all flat. However, if Ofo bikes are rolled out in somewhere like Hampstead or Crystal Palace that could be problematic! Hopefully the bikes will have a few gears by then! I think there is definitely a place for these bikes. Santander bikes are very useful, particularly for those short journeys around Central London, which can be done quicker than taking a bus or the tube. Having a bike sharing scheme that extends into the nearby surburbs would definitely be useful, and may, as their hope is, get more people into cycling as a leisure activity. All in all, it was a good evening, and I hope that the Ofo bikes will become as commonplace as the Santander bikes - at least in the flat parts of London.